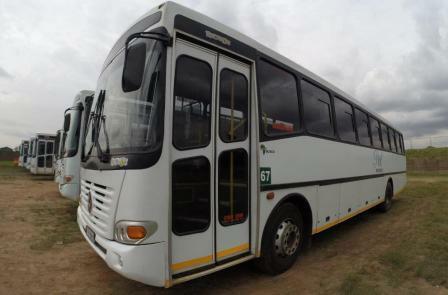 Pal Bus Services Situated in eMalahleni, formerly Witbank, Its network spans South Africa as well as Lesotho, Mozambique and Harare. Dirt roads make up about one fifth of Pal’s routes. 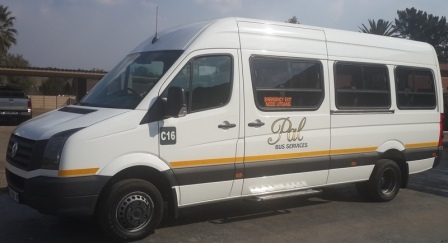 Witbank based Pal Bus Services evidently has a firm grasp on what its customers like, as well as what it takes to drive a thriving business in South Africa’s evolving landscape. The company was established three decades ago by the grandfather and father of present owner George Didloff, who runs the company in partnership with wife and financial manager Sonya Didloff. A qualified diesel mechanic, George takes care of nuts and bolts workshop business, complemented by Sonya’s role in the office. Both George and Sonya are qualified pedagoes, who met at college. It offers 24 hour service to its customers, all year round, and is justifiably proud of the fact that it has had no casualties. A zero tolerance stance on reckless driving and unprofessional behaviour underpins Pal’s unblemished safety record. specializes in transporting Passengers to and from work in line with its location at the hub of coal and gold mining, on the Maputo corridor and Scholars to and from school. The company also provides charter services utilizing semi-luxury buses. On standby they have one person from Management, a bus driver, mechanic, supervisor and vehicles with an inspector who accompanies the morning and night shift from the pickup points to the mine. They are in possession of Passenger Liability Insurance to the value of R100 000 000 – 00 per as well as third party Insurance. They have a pro active plan to prevent accidents. 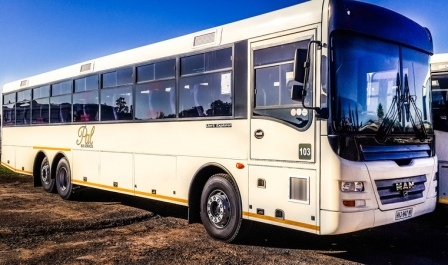 The policy with Genlib extends in addition to the R100 000 000.00 limit on Passenger Liability and Unauthorised Passenger Legal Liability to provide Personal Accident cover, for a maximum of 65 seats, any one occurrence, at R2000.00 per seat for a maximum of 25 days, also including emergency roadside costs (ambulance and medical evacuation). 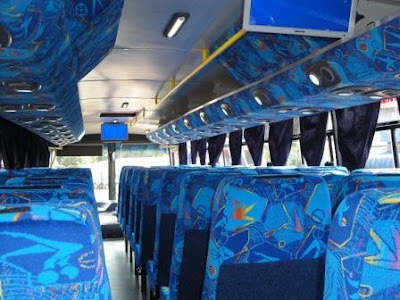 Regarding Passenger Liability, it must be noted that cover in terms of this policy will always be subject to the prevailing legislation governing such liability and in strict accordance with the provisions of the Road Accident Fund as defined in law and at time of the occurrence of the claim. 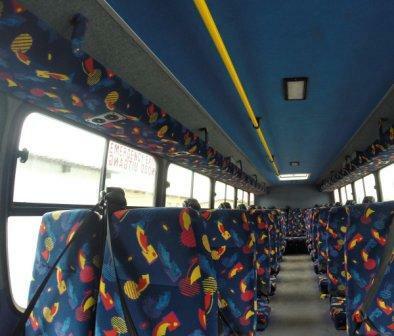 Client will be responsible for any damages caused by passengers. No alcohol will be allowed on the bus. No passenger under the influence of alcohol will be allowed on the bus. 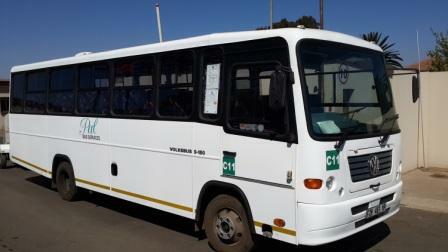 Quoted price includes bus, diesel, driver and passenger liability insurance. Quotation is valid for 30 days only & subject to change without notice. E&O.E.